I just love following up on requests on our fan page! Erica May with Erica May Photography did a great job with this tough request! Love the ideas! 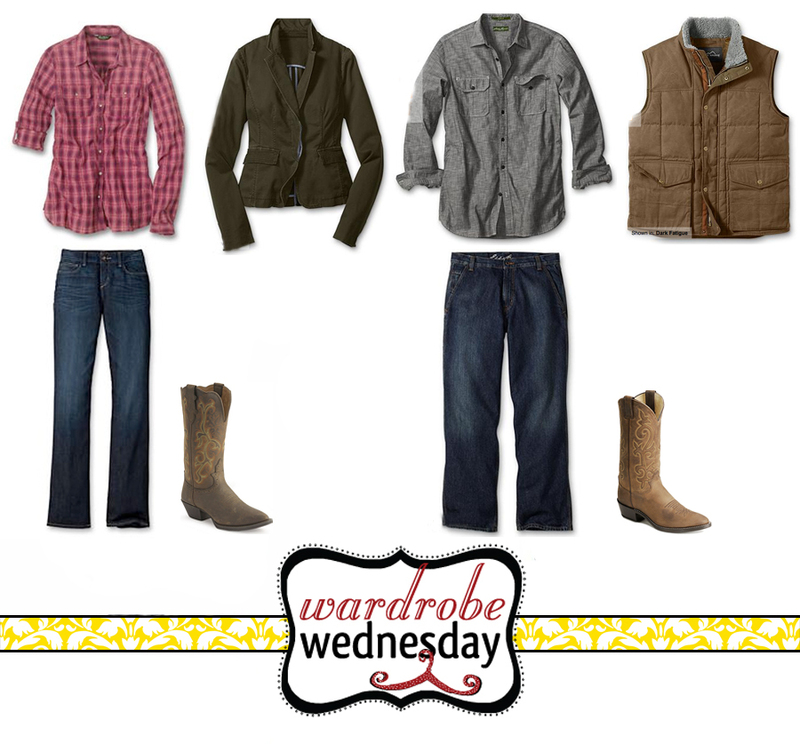 We recently had someone post on our Wardrobe Wednesday facebook page requesting a couples session that features cowboy boots. Being from Texas, I was all over that =P. I wanted to put together something that was country but not over-the-top. The thing I LOVE about these outfits it all the layers. The warm tones, mix of textures, and small pop of color will add a lot of depth and interesting features to your images. I love the option to take off and on jackets, vests, hats, and jewelry so make sure to any or all of those items along. The more layers you have the more posing options your photographer will have. I tried to make it an easy shopping trip with the majority of this ensemble being from one of my favorite stores Eddie Bauer. I could just live in their catalog and they have a great outlet section! =) Don’t forgot to bring a few things that are special to y’all (maybe a few books, a bottle of wine, etc..) and a quilt or sherpa blanket to snuggle up on. Enjoy! I have 2 awesome sessions in the blog queue…stay tuned readers!